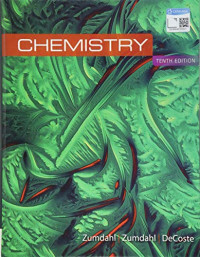 Learn the skills you need to succeed in your chemistry course with CHEMISTRY, Tenth Edition. This trusted text has helped generations of students learn to "think like chemists" and develop problem-solving skills needed to master even the most challenging problems. Clear explanations and interactive examples help you build confidence for the exams, so that you can study to understand rather than simply memorize. Combined with the online resources and instant feedback in OWLv2, you'll be on your way to developing a deeper understanding of chemistry concepts and solving complex problems in all aspects of your life.